I think I’ve discovered something important: cooking yummy food doesn’t have to be time consuming or challenging! Game changer! 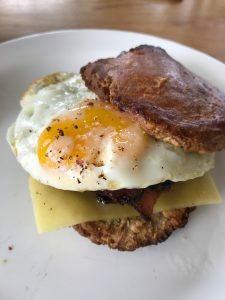 One of my good friends in college introduced me to the homemade egg sandwich. It was seriously so easy and so delicious, the perfect way to feel like I’m cooking and get away from big bowls of salad all the time. Crack an egg into a warm fry pan with some olive oil. While it’s frying, put an English muffin into the toaster. When the egg is nearly cooked, put a little bit of water into the skillet, toss some spinach leaves on top, and cover with a lid. The steam wilts the spinach and finishes cooking the egg. Put the egg and spinach in the muffin, top with fresh-cracked salt and pepper and feta cheese, and nom! 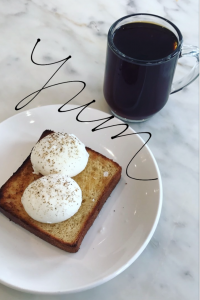 When I first started working for Sweat Pink, Alyse posted the most delicious-looking avo toast, which was still a relatively new thing for me at the time. I took her toast recipe and ran with it! A slice of toasted Dave’s multiseed bread, goat cheese and avocado spread onto it, and topped with a fried egg and freshly cracked salt and pepper. I seriously had this for one meal a day for 6 months. Yesterday morning I was craving something comforting: cheese, eggs, and avocado. Basically the best trifecta! I put parmesan cheese on a tortilla and in a warm oven. While that baked, I scrambled two eggs. 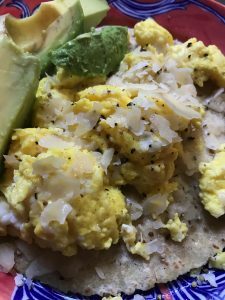 I topped the warmed tortilla and cheese with the eggs, a little fresh cheese, half of an avocado, and salt and pepper. Nic and Jamie seriously inspire me in the kitchen, and with their love of tacos. I love watching what they put together seemingly effortlessly. 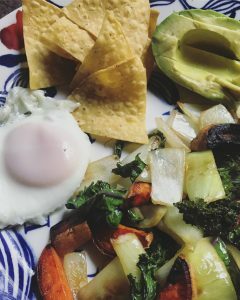 Nic oftentimes will sauté up some veggies, put on a tortilla, top with an egg, and go to town. So that’s egg-actly what I did. I chopped and sautéed onion, sweet potato, zucchini, and kale. Toss on a warm tortilla, and top with a fried egg and avocado. I was SO full! No tortillas? Use chips for a taco salad! A lot of times I eat eggs solo. A hardboiled egg with some avo or topped with some cheese is a great quick snack. 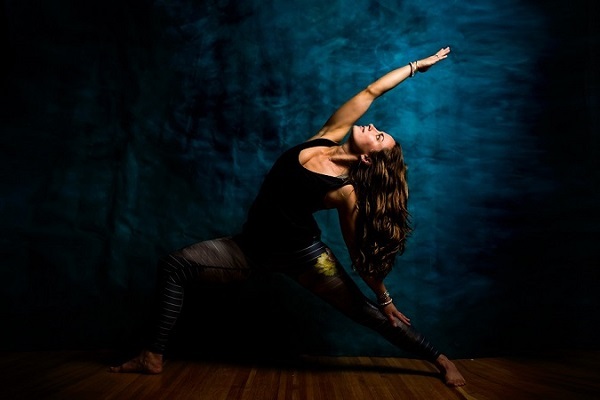 It’s the best way to get a burst of protein that keeps me fueled and satiated. I prefer using Eggland’s Best Eggs! They’re fresher, so they cook and taste better. 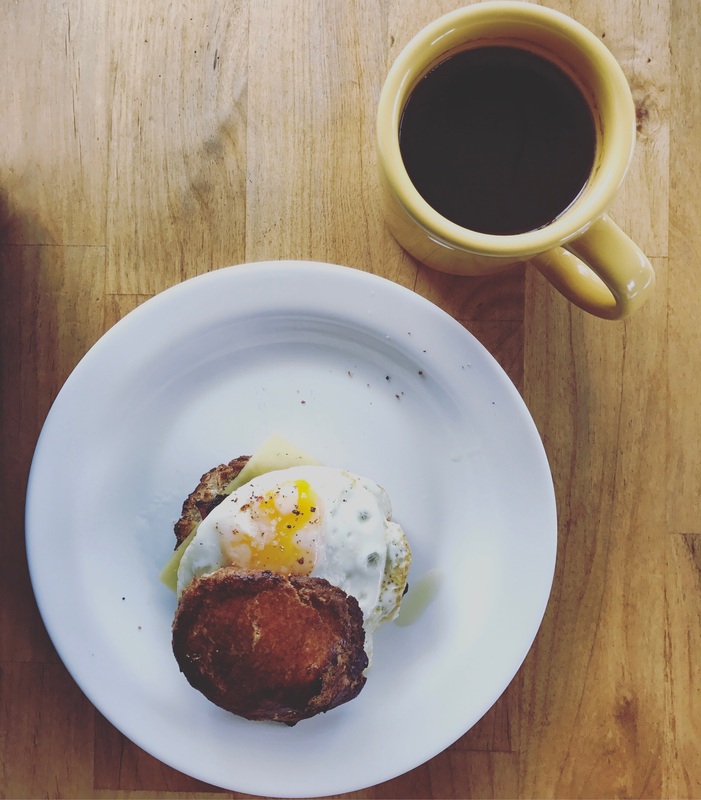 And then the yolk is a much prettier color to photograph… Plus, they’re filled with all kinds of nutrients like vitamin B, D, B-12, and more omega-3’s. I tend to go through waves of dishes. I’ll find one or two that I love and make it pretty much every day for months on end.I’m ready for more! I’ve got these recipes down and am ready to expand my repertoire. 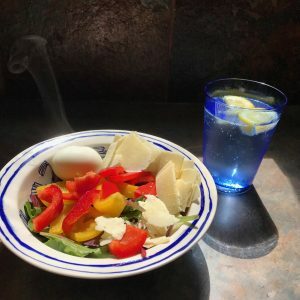 Have a recipe of your own? Join in on all the yummy love. Today is the last day to join the #FallingForEB recipe challenge. 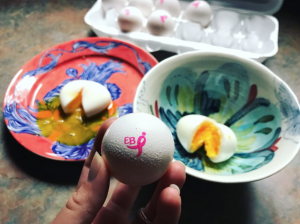 Post your recipe to Instagram, tag #fallingforeb #sweatpink @fitapproach @egglandsbest, and you could win $200 in groceries! The recipe can be a new creation or an oldie-but-goodie; just make sure it includes eggs. 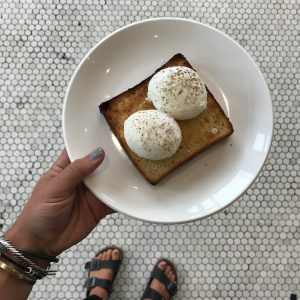 I’m also so egg-cited to get all the egg prep knowledge down! 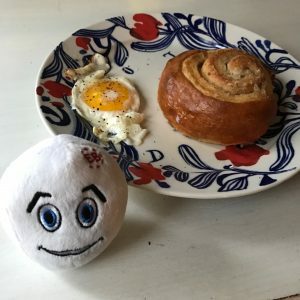 Ever since I saw Runaway Bride and Maggie Carpenter basically had a moment of self-realization over classic egg preparations, I’ve always wondered what most of them really were. 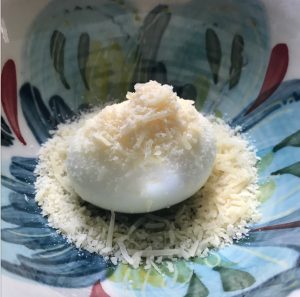 We’ve teamed up with Eggland’s Best to really dive into how some of those classic egg preparations are actually made. 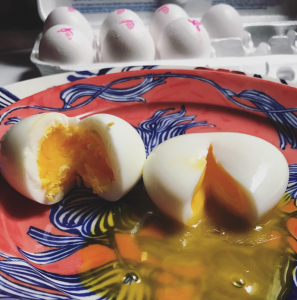 On Wednesday Alyse broke down the difference between hard boiled and soft boiled eggs (hint: it’s all about the timing). mmmm, where’s the bread for that yolk?! Tune in today at noon to get all the poaching coaching from Nic! Thanks for keeping my belly full and happy, Eggland’s Best! OH MY yum, give me all those eggy creations..and your breakfast tacos look bomb!!! Let’s have a lunch date ASAP!